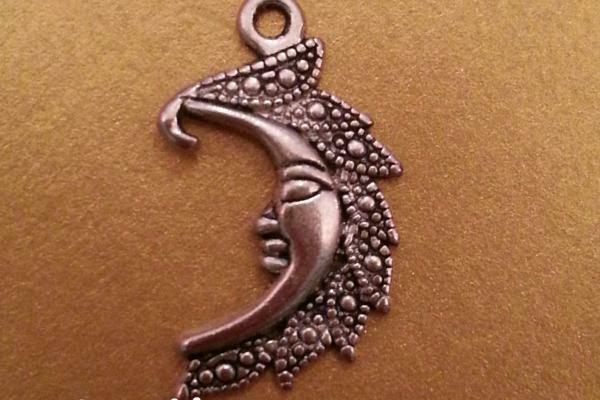 I Love you to the Moon and Back. 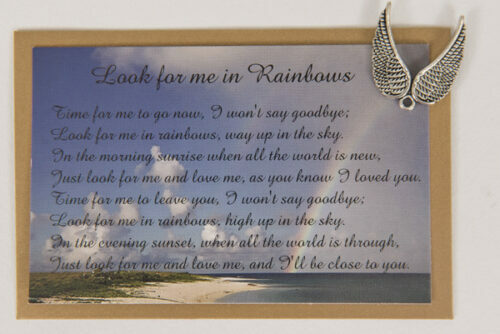 Remembrance / memorial card with charm. 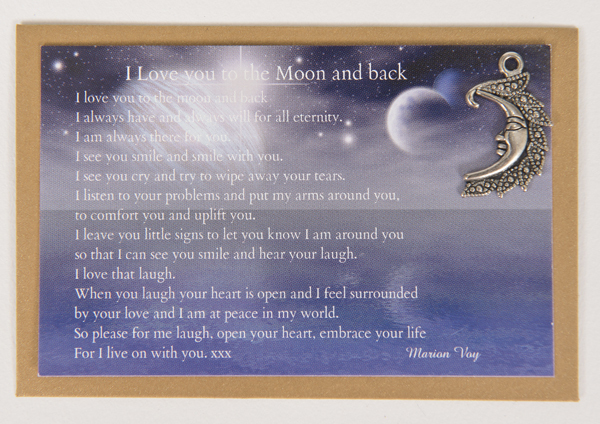 I Love you to the Moon and Back. 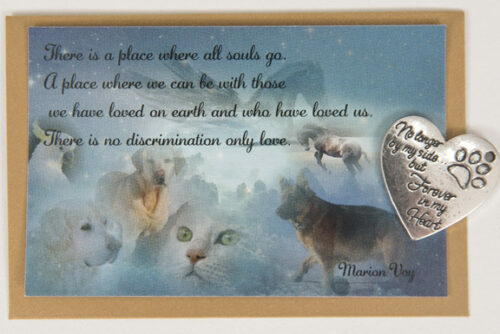 Remembrance / memorial card with charm. 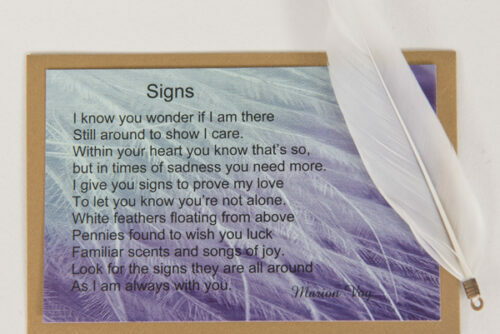 A gift to give upliftment when grieving the loss of someone special. 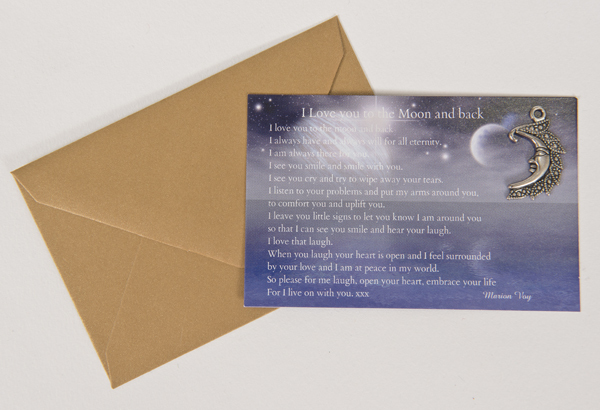 Reverse side of the card says I love you to the Moon and back. 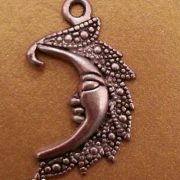 The charm is a silver moon. I always have and always will for all eternity. I see you smile and smile with you. I see you cry and try to wipe away your tears. to comfort you and uplift you. so that I can see you smile and hear your laugh. by your love and I am at peace in my world. 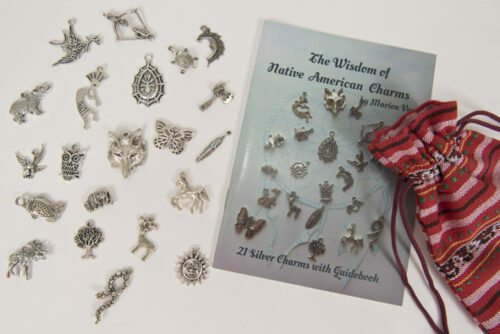 Charms are silver in colour, not sterling silver.